Bengaluru, 18 August 2017: After a two-week break post the Women’s Hockey World League Semi Final in Johannesburg, the Indian Women’s team is back in SAI, Bengaluru for a three-week national camp. On August 14, the 33 core probables reported for the camp that will conclude on August 31 ahead of the team’s departure for a four-match Series in the Netherlands. “While we will work on bringing different variations in goal scoring and keeping ball possession, we will pay more attention to basics such as trapping and better passing during this camp. On the fitness front, I would like to see the girls get faster on the field,” expressed Chief Coach Sjoerd Marijne who will put the squad under grind with ten sessions a week that includes matches against the junior boys’ side on Thursdays and Saturdays. In Holland, apart from playing four matches, the team will also get to work under legendary Dutch coach Toon Seipman. “We will have nine training sessions with Seipman who is a dragflick expert. Many drag flickers across the world work with him and I am sure our drag flickers can learn a great deal from him. 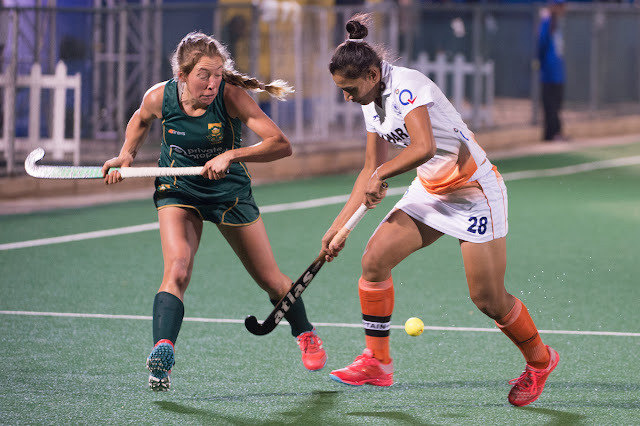 This is an aspect we need to improve upon and I believe the exposure in Holland will help in our preparations for the Women's Hockey Asia Cup,” stated the 43-year-old Dutch coach. Team Captain Rani further emphasized that the team is focused on playing consistently. “There are quite a few aspects we need to learn from our outing at the World League Semi Final. While we did well against USA in the first two quarters, we could not carry on the momentum into the third and fourth quarters. Similarly, against Argentina too we put up a good fight but it’s important to play consistently through the match and we are working on it. We need to bring more energy into our attack and I am sure playing against Holland, who are very good with attack, will be a learning experience,” stated the India forward. Meanwhile, Coach Marijne lauded the Men’s team, which had as many as nine players from last year’s junior core group, win against an experienced side like the Netherlands. “I was there during the matches India played in Holland and the energy they brought into the matches was exceptional. The women’s team makes it a point to follow the men’s matches and they are inspired by the team’s recent performance,” Marijne added.